I'm as big a sports guy (not saying that word) as I know, and I vote for the convention center too. If the ballpark would be 75+% private funding (LOL), I'll have less of an objection. A ballpark downtown would bring 2 million people a year to the area (and not just people from the KC). IMO, It would be a huge missed opportunity if it went elsewhere. I love Kauffman. It is one of the best ballparks in the MLB, and I have visited many others. Love Pittsburgh's stadium, it's the best downtown ballpark I think. Walkable to downtown across the ped friendly Clemente bridge (that is completely closed off to car traffic on game days I think), stunning views of dt Pittsburgh, unique overall design and execution as well as modern amenities. Seems to be a lot of parking from a quick google maps view that it shares with Heinz Field (NFL) in addition to a lot of bars and restaurants in the immediate vicinity. It also has good highway access. How would the K fulfill any of these (personal) highlights that PNC checks off? Views would just depend on location it is built. However, many new bars and restaurants would need to be built at additional cost. At least some new parking would need to be constructed and the Royals would lose that parking revenue. 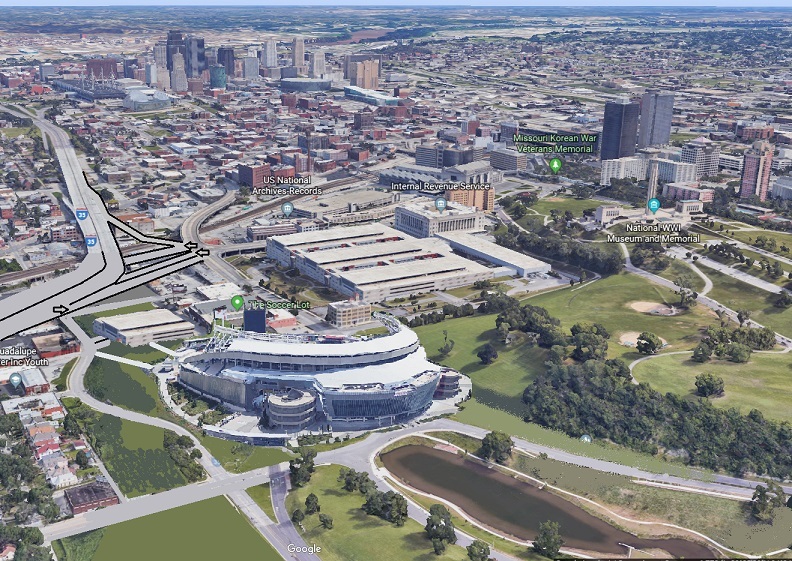 Why not building a "ballpark village" type facility in those giant concrete lots next to the stadium? Perhaps some other destination retail to draw crowds in the offtime? Would definitely be a bigger uplift to get that going than have a downtown type additional retail element. That would however, require additional real estate. Longer term I do think if downtown connectivity is critical for TSC. BRT line eventually upgrading to a streetcar along Linwood/31st alignment would be nice. No real motivation from the Royals on that one bc they lose parking revenue. 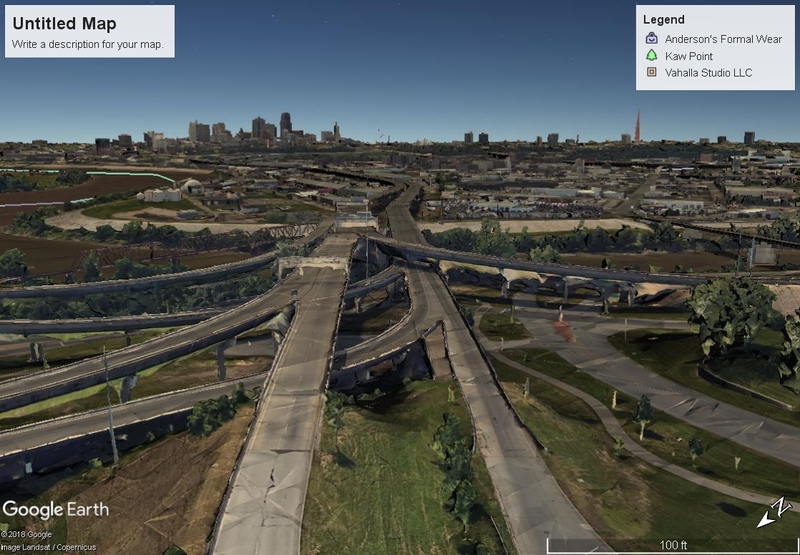 However, it would provide additional connectivity to a very blighted stretch of KC that has cheap real-estate and room for re-development and growth year around. Seems like a better investment than $600m+ on a new stadium. Finally, an article from KC Star that realistically addresses the stadium situation. At the end of the current leases, TSC will be over 60 years old. Something new will likely need to be built somewhere and needs to be paid for by everyone. It sounds like the Star expects the Royals to stay in KC/MO while the Chiefs could join Sporting in Kansas. This makes sense as I do not see the Chiefs ever leaving a sea of parking(similar to American Royal). A few sites downtown are being floated still. However, I think that Harlem needs to be a serious area of study for any new stadiums. 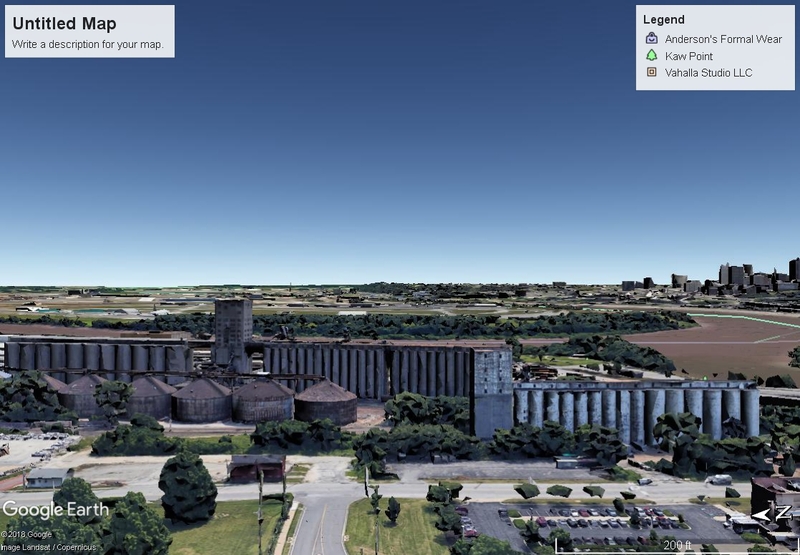 Already, Schulte noted, one prime site — a location between 12th and 13th streets just east of Grand Boulevard — is off the table, snapped up by developers for other purposes. I apparently missed some news. Any definitive plans for this lot? I'd love to see some development in Harlem, but I don't see how it's a realistic option for a stadium. If I'm the Glass family, I'm thinking I'd better off staying at the complex rather than moving down there. I had the exact opposite reaction from you to that article. With proper care, there is no reason those stadiums couldn't last another 50 years. The only site I would be excited about downtown would be Harlem. If that happened, no reason a new football stadium couldn't be built at TSC. It would be a shame to give up all that infrastructure. The ludicrous amount of money we give to build these stadiums has to stop. Even if it's metro-wide. But, if a Bi-state tax does happen we will lose one of the two to Kansas. Access seems to be the biggest issue. 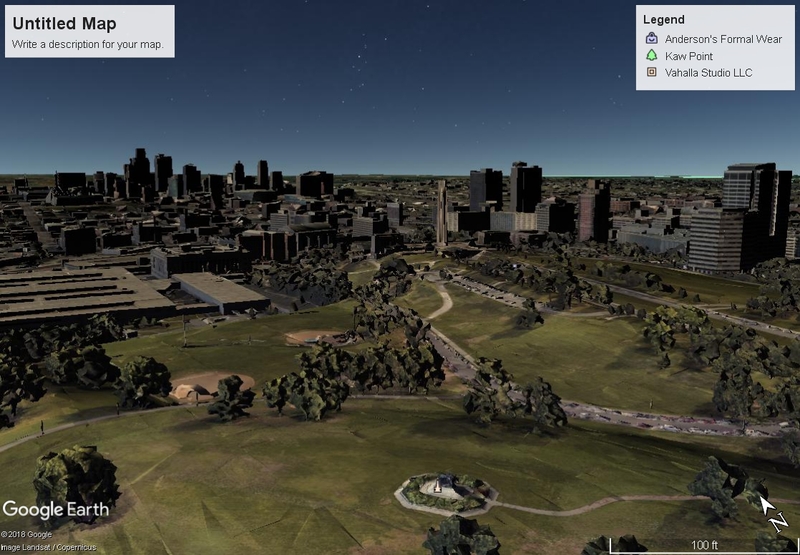 I was worried about flight paths and the height of the light poles. Looks like the light poles wouldn't have to be much higher than the Broadway Bridge. Sooner than later we are going to have to address the issue of having an airport and rail yard that close to Downtown. Airplanes go over a water tower all day and it's like 2 miles from the airport. They just wouldn't put the stadium directly north or south of the airport. SE isn't a problem because only helicopters go that way. 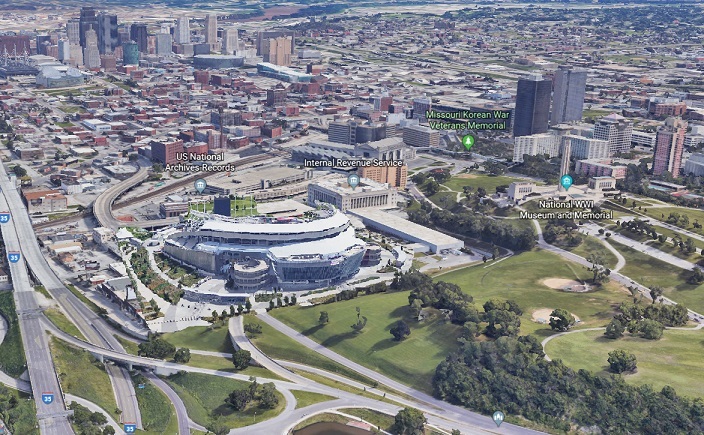 Actually, if you want the best views of downtown, and want to make use of the most worthless real estate in Downtown, build it where the ball fields are in Penn Valley Park. A short walk from the streetcar. Plenty of bus lines. Walking distance to many potential bar districts. Last edited by shinatoo on Mon Feb 25, 2019 12:10 pm, edited 2 times in total. True. The current softball fields at PVP have a better view than any of the proposed sites. Plus the parking garages for the IRS center sit empty most of the Baseball season. You're never going to get a government building to open up their parking garage for anything, especially when there's office space above it. Last edited by flyingember on Mon Feb 25, 2019 12:23 pm, edited 2 times in total. And would come with a major freeway modification. There's no I-35 ramps from the south into this area. Plenty of parking in downtown KCK! A good point that was brought up about the new ball park is privately last time the Royals were against the idea because of parking. I know we want to become more parking dense downtown but keep in mind all the lost revenue the Royals will see from the parking situation. I think Kansas will make a run at them as well. If it's going to Kansas I would rather it go there than anywhere else. That would be a hell of a view. I jest, of course. You could find a way to have a nice view of downtown. I was just using true north 3rd base alignment. I recall reading about some history of Penn Valley Park. In one of the plans for the park, the bowl area, where the lake is, was proposed to be the site of an outdoor coliseum / stadium. This plan would have been before I-35 existed. If the IRS Processing Center had not been built there, it would have been a good location for the baseball stadium. I think Kansas will make a run at them as well. I think you will only see a downtown stadium is if we had a local ownership who cared about the city. Kansas City need a rex sinquefield type who wants to invest in the city and bring the city back to life.